If you recall, I went on a short trip to San Clemente last week & during the vacation, we took a brief trip to San Juan Capistrano. By brief, I mean literally one hour. 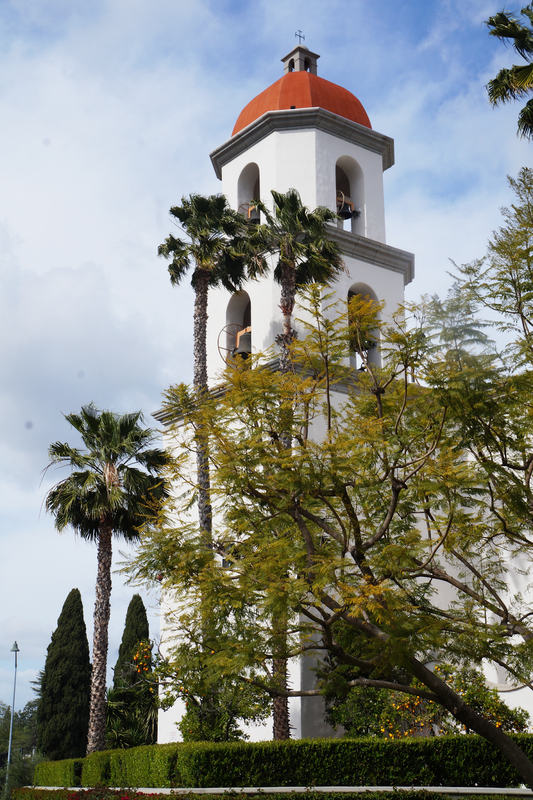 We checked out the Mission San Juan Capistrano gift shop & that's about it, but it's beautiful. I don't head to farmer's market as often as I would like or as often as I should, for that matter. I did a bit of research & there are several markets in a short vicinity from me, so no more excuses! Anyhoo, I bought some mouthwateringly delicious garlic rosemary bread, cranberry orange loaf, & some dried fruit. Don't mind if I do. This is the second year in a row I spent St. Patrick's Day out with my girlfriend. Apparently it's a tradition now. 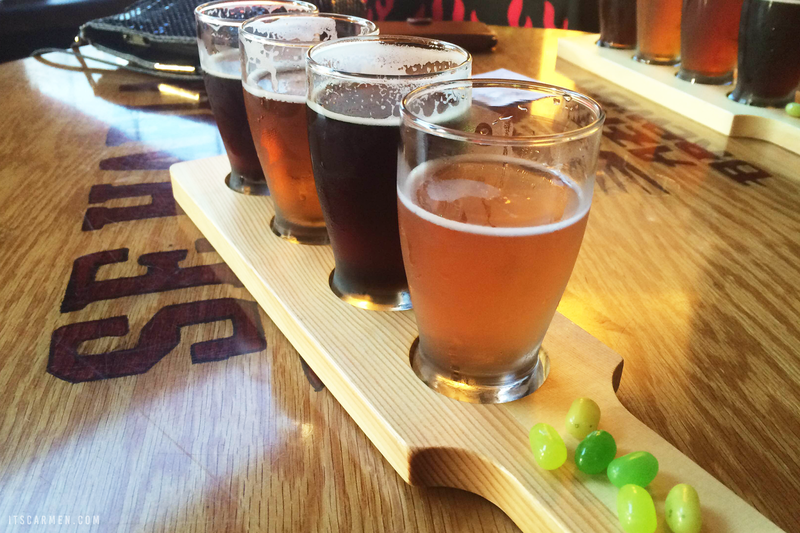 We went to Aztec Brewery in Vista & grabbed a flight of tasters. Absolutely no green beer for us. We did have some green jellybeans & had fun trying to guess the flavors. Our favorite? Pear. Let's be real. There's no way I could resist this sign. I'm a huge fan of cartoons & cute characters, so it's no surprise that this one caught my eye. 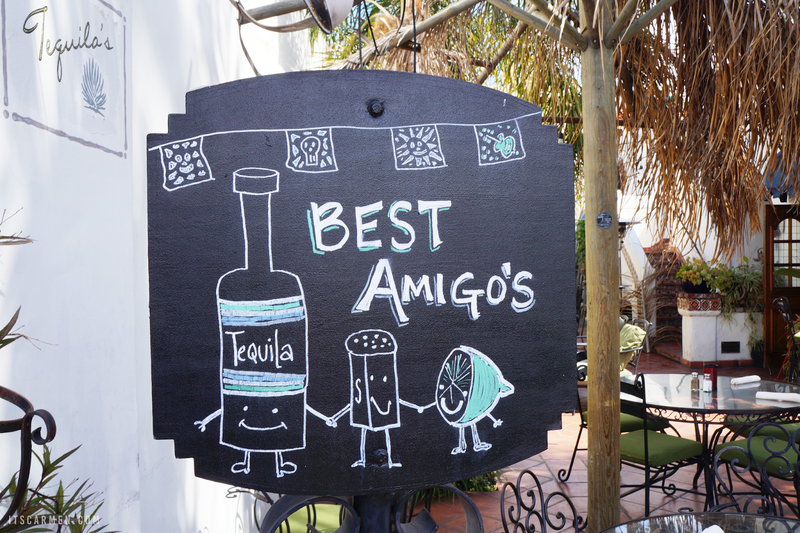 Tequila isn't for me but this sign is. I hope you get a little bit of joy from it too. Can you believe that spring is here? It's definitely one of my favorite times of the year. The beautiful & prevalent blooms are simply irresistible. I've been noticing them everywhere — on the side of the highway, during a hike, & even in the parking lot when I went to get an oil change. 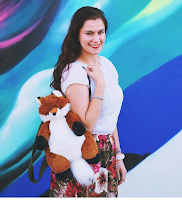 Join me every other Friday for 5 Things I'm Loving Right Now ♥. Let's link up. Post 5 things YOU'RE loving right now & let's spread some happiness. From now on I'll be linking up for 5 Things I'm Loving Right Now ♥ so stay tuned & join in! I absolutely love cruising through farmer's markets; the fresh produce is just too irresistible! And yes that sign is adorable; I always have a weak spot for shops with handwritten signage haha! Thanks for sharing, to be honest I'm glad how you mix your content! I was tired of reading just about outfits on very single blog, I do appreciate when you mix it with some lifestyle/personal content!! Farmers Markets are so fun to shop in, I always feel so healthy after leaving with anything from the market! 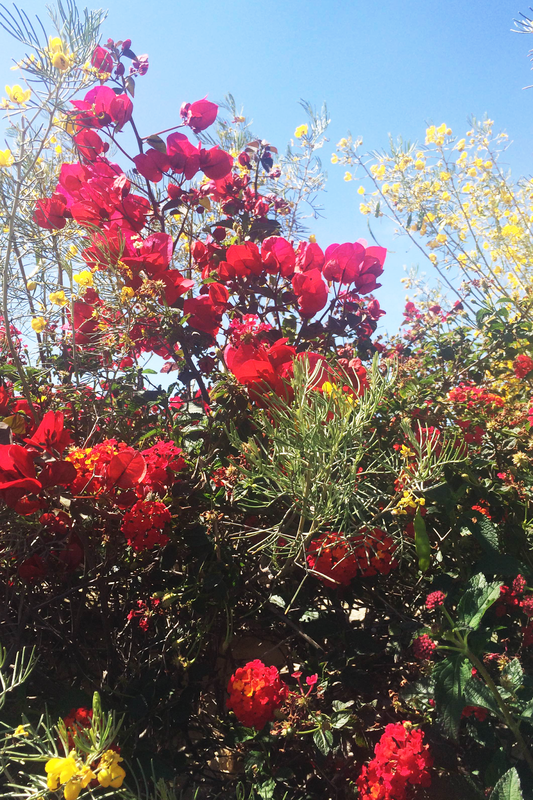 I also love the flowers, spring is blooming and it's so exciting! So many new opportunities on the way and the warm weather definitely helps. Hope you have a lovely weekend, and a very happy Easter love! Love these photos, I am so excited for summer and Farmers Markets! Looks like an absolutely wonderful week - I just can't wait until things start blooming here too. I'm heading to our local farmer's market tomorrow for the first time this year and couldn't be more excited for it to be starting back up again! Farmer's markets are the best! Especially because you're supporting local AND you get the freshest food possible. I definitely need to hit one up soon. 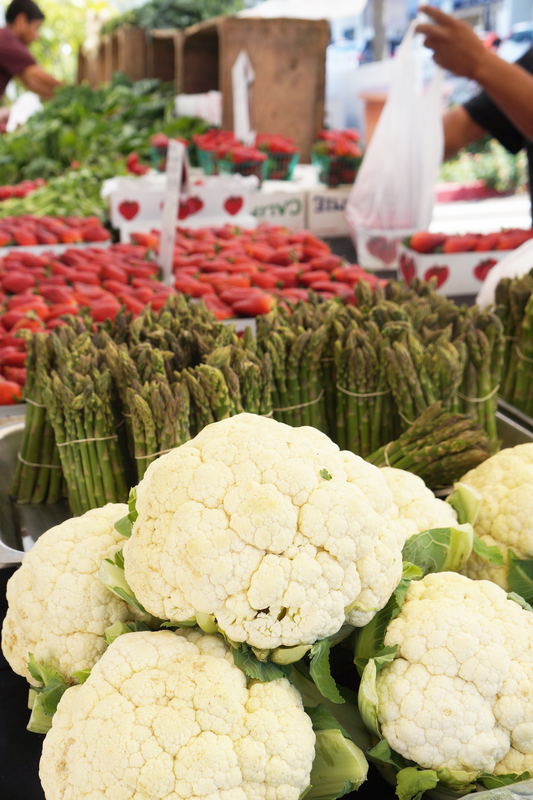 The farmer's market is a weekend favorite of mine, too! Have a great weekend! I love that you're doing this every friday, it makes me want to do it too! It helps me so much to value the small things in life, which is what really matters! I don't know why, but Farmer's Market always gets me sooo excited! Awesome post! I've also been loving farmer's markets and seeing the whole city bloom! those flowers are so beautiful. I am so loving spring blooms right now as well! I honestly feel like this is the most beautiful spring I've ever seen, with flowers magically popping up everywhere! Beautiful pictures! I love farmer's markets :) Happy Easter!! I love a good farmer's market, and San Juan Capistrano looks gorgeous! Those flowers look incredible! Your photography is gorgeous girl!!! Wish we had weather like that over in the UK! That is true! At the first hint of spring I always start to get excited for summer but spring is just as lovely!! I am from Vancouver, Canada! The first photo is amazing !